As one of the lucky New Yorkers with an outdoor space, and someone who spent several years in Oregon growing a garden, it was only natural to fill my terrace with potted plants. One side of my terrace is sunny for a longer part of the day, most of the things on this side are edible. 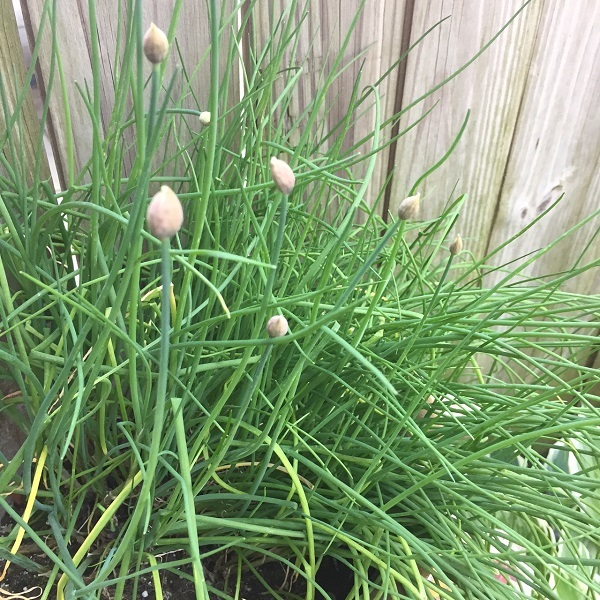 I brought the chives with me from my community garden space in the East Village. They are about 25 years old and surprise me every year when they pop up after winter’s cold! The lavender is about 7 years old. It took me a few tries to get the right growing conditions, they don’t like too much water so well drained soil is important. My cat Sugar loves the scent especially when they flower. 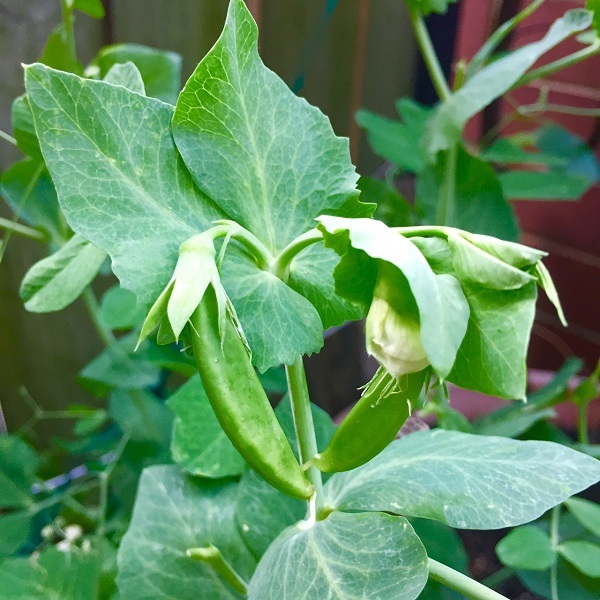 This year was my first try at peas. I planted them a little late so though I got some it wasn't really enough for more than a few added to some that I bought at the farmer market. It was very interesting to watch them pop out of the flowers though. Not to mention tasty! There’s enough lettuce & arugula to make a lunch salad everyday. It’s so much fun to pick & choose the pieces I want that day! I usually have a nasturtium to add too, it really sparks it up with a slightly spicy taste. Just a few radish slices and some avocado and Viola! Lunch!